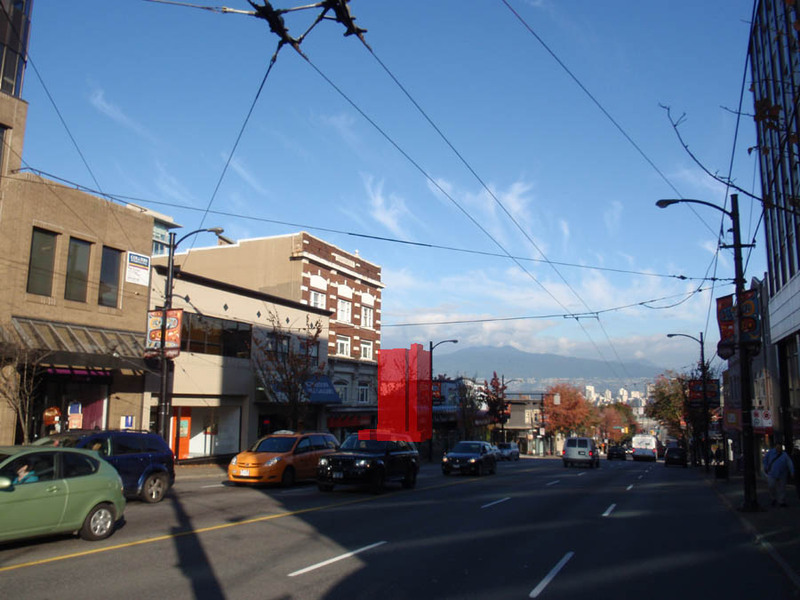 These images showing views of the North Shore from Broadway and Granville. This is in order to follow-up on comments at the public hearing on Oct 19 (1569 West 6th Avenue). 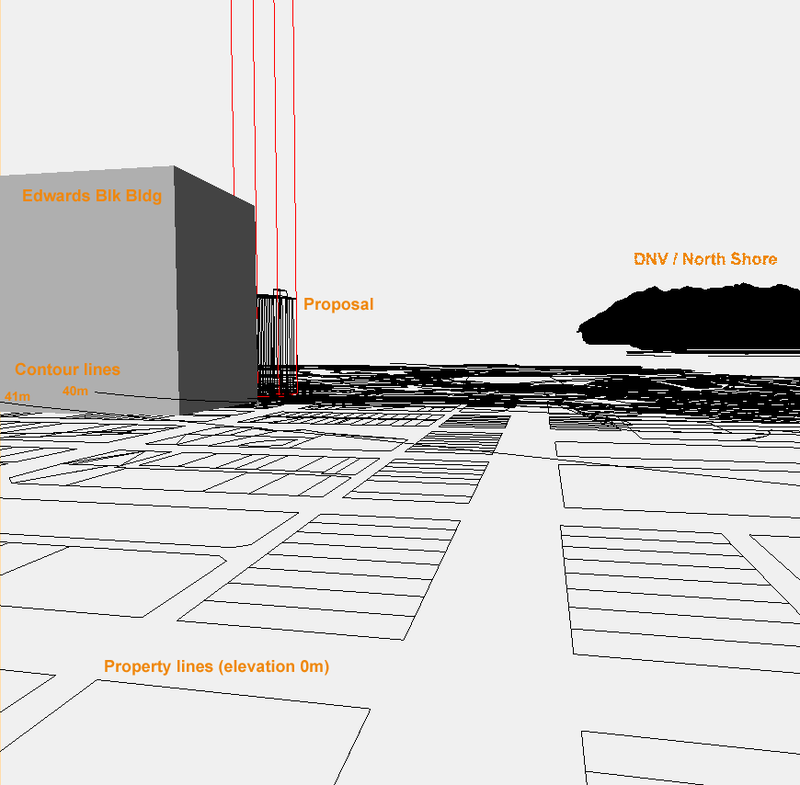 Analysis of the views of the North Shore from the intersection of Broadway and Granville were done from first principles. 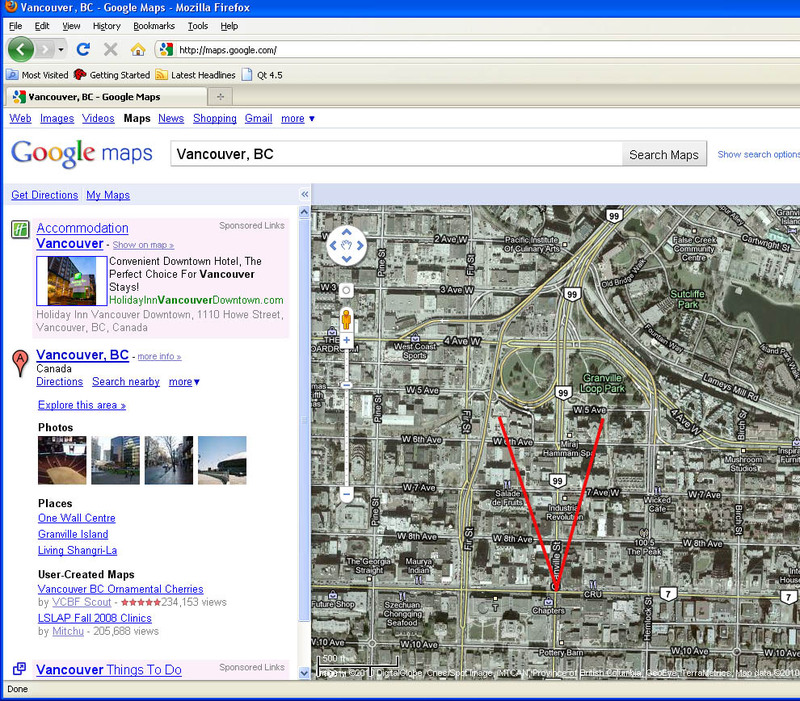 The plan indicated identifies the Granville/Broadway intersection and also the site on 6th Avenue (red line runs through it). 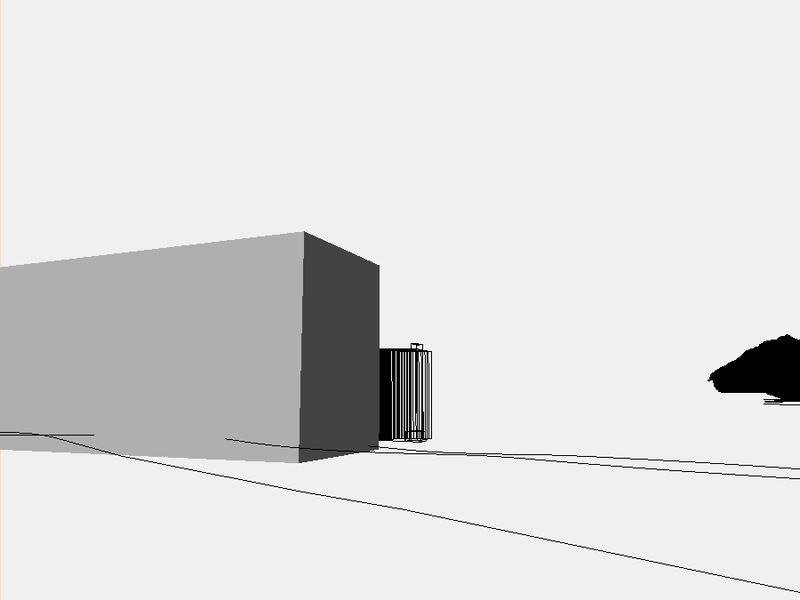 Also here is a photo matched to the computer model to give an indication of where the impact of the proposal will be; it’s a painstaking process and a couple of the images show how the computer model and photo were matched. 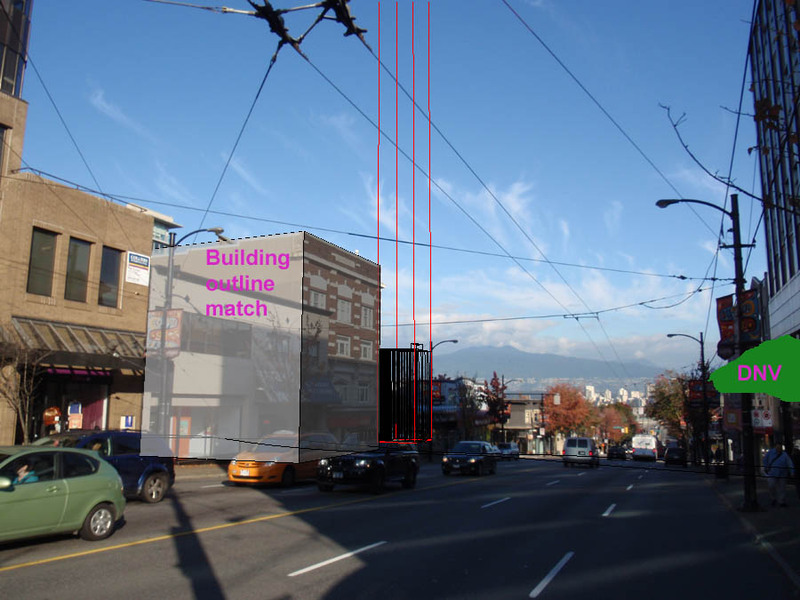 This analysis focused on the experience of a pedestrian at Granville and Broadway, so we look at whether views of the mountains would be compromised at this intersection.